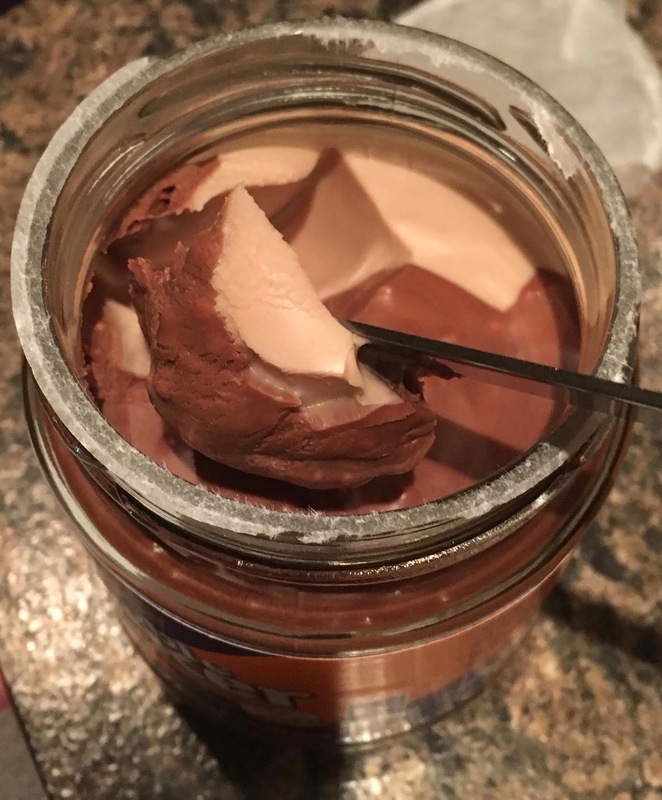 One of my favourite winter comfort foods is chocolate spread. 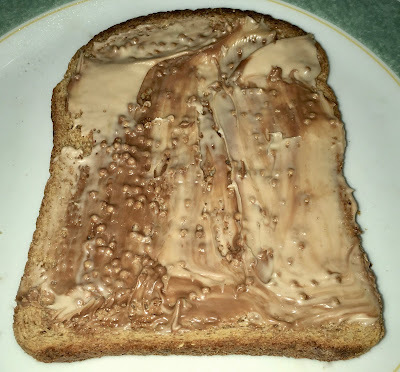 Effectively chocolate thickly spread on toast is a treat, and what I like to refer to as a weekend breakfast, as it isn’t the most vitamin rich start to they day. This new Cadbury Double Decker Chocolate Spread is based on the chocolate bar of the same name, and consists of two sections in the jar, a chocolate part with crispies and a nougat flavoured section. Double Decker is one of those bars of chocolate I don’t have very often but when I do I’m always impressed by how nice the soft nougat flavour is. This Cadbury Double Decker Chocolate Spread was spread on toast and the sections meant it marbled nicely, but the crispies seemed to more evenly distribute themselves. The flavour of the spread was deliciously chocolatey and rich. The nougat taste added a lovely creamy sweetness that made it a bit different from the normal chocolate spreads. The nougat was very similar to the actual bar, so I really liked it. The cocoa section was sweet, and added a good chocolate flavour too. The crispies pieces looked nice and are a nice idea but when spread on bread the texture is a little lost. 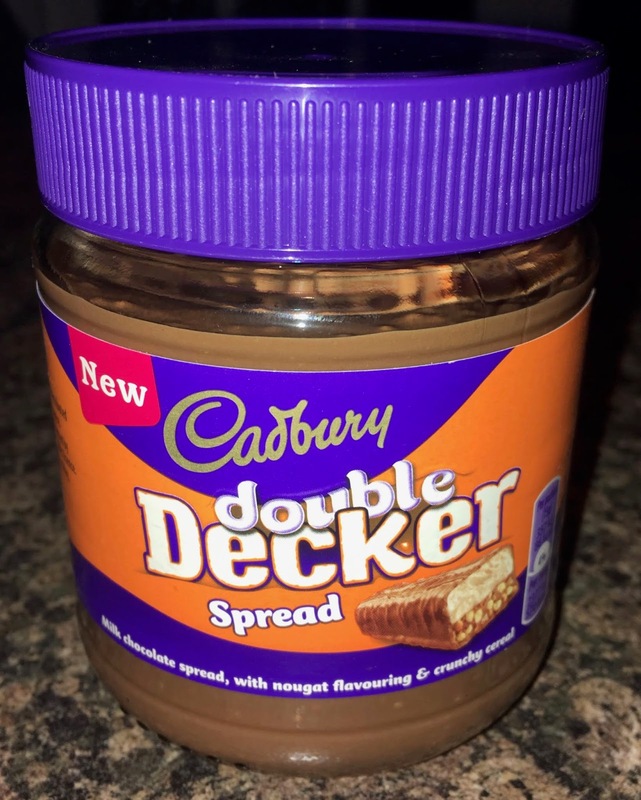 It is a good attempt at recreating the Double Decker chocolate bar in spread form though, quite accurate on the flavour. I realise that chocolate bar on toast isn’t to everyone’s taste, but for me it was a lovely treat, back to porridge again until next weekend.